RFID’s great for library operations like easy, one-step checkout, helping staff place items correctly, or reprogramming tags as items change. But systems are often difficult to use and take up too much space, early adopters have said. Thus, 3M Library Systems’ two workstations unveiled last week at the American Library Association’s annual mid-winter meeting in Seattle include new features that make them fast, reliable and easier-to-use than their predecessors. SEATTLE–(BUSINESS WIRE)–The application of radio frequency identification (RFID) technology for critical library functions has just become more productive and user-friendly than ever before. 3M Library Systems has unveiled two workstations with new features that make them fast, reliable and easy-to-use RFID products in the library environment. They were introduced here today at the American Library Association’s annual Mid-Winter Meeting, being held at the Washington State Convention & Trade Center. 3M Staff Workstation Model 946 offers an improved desensitizing rate, and a significantly lower false-alarm rate compared to its predecessor model. The system links to the library’s existing ILS, so no additional computer is required, which means less space is taken up. Like its 3M predecessor model, the 3M Model 946 – with its ergonomic design – performs checkout or return in one step, combining RFID item identification and Tattle-Tape Security Strip from 3M in the same operation. The system also can perform bar code-to-RFID conversions for new acquisitions and smaller scale collections. For visual and audio media, it enables staff to verify that the case and item within match, without opening the case, and can confirm the presence of a sensitized Tattle-Tape Security Strip by means of a verifier light. Also introduced today was the 3M Conversion Station Model 812, an improved self-contained portable system for rapidly scanning bar codes and converting the data for RFID. Compared to its predecessor model, it contains a larger touch-sensitive screen, an easier-to-load 3M RFID tag dispenser, and the capability of converting all 3M RFID tag formats. Similar to its predecessor, 3M Model 812’s sophisticated laser scanner is effective for virtually any bar code location or orientation, and provides a visible scan line that helps the user place items correctly. 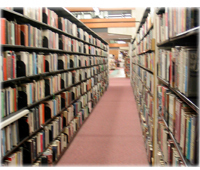 Because it does not require connection to an automated circulation system, the workstation can be easily moved on its cart for use in the stacks. The station also can reprogram RFID tags as items change. Both new workstations meet the EU RoHS (European Union’s Restriction of Hazardous Substances) directive. RoHS restricts the use of certain hazardous substances in electrical and electronic equipment, including that sold to the library market. To learn more about how 3M Library Systems products meet the EU RoHS directive, visit 3M.com/us/library and click RoHS compliance. A global leader in library innovation for more than 35 years, 3M Library Systems provides security, productivity and information management solutions that harness technology to enable a more human library, freeing librarians to spend more time doing what they do best – helping people. 3M also partners with libraries to support their technological advancement and ensure their success through numerous industry sponsorships and programs. For more information about the 3M Library Systems solutions, visit http://www.3M.com/us/library or call (800) 253-6845.